The stated overall objective does in this context not refer to territorial integrity. 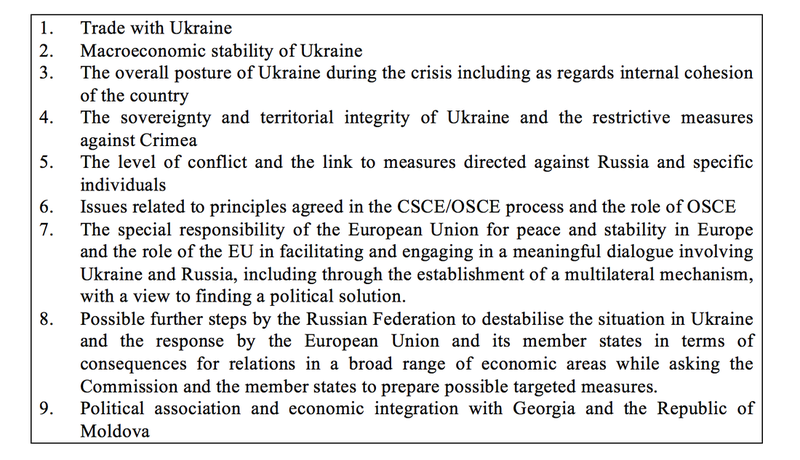 Further down in the text there is a reference to a condemnation of the annexation of Crimea and Sevastopol by the Russian Federation and a statement that the European Union will not recognise this annexation. 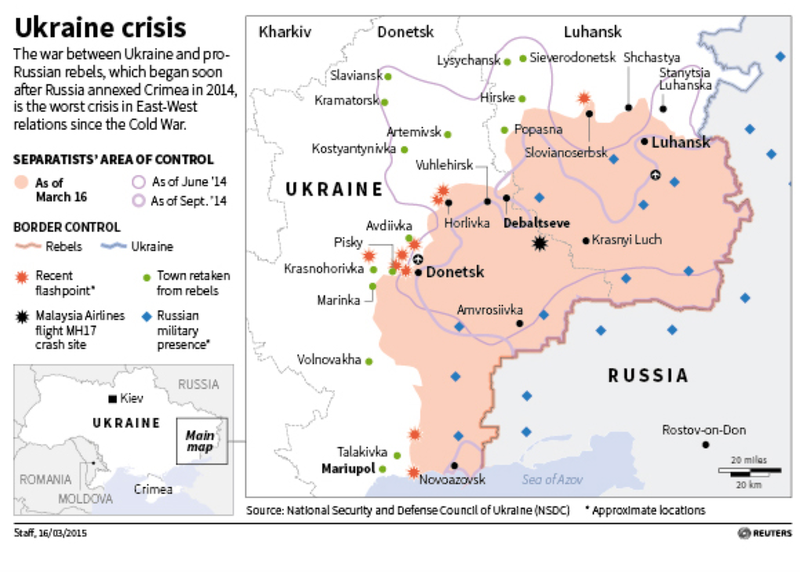 There is also a reference to de-escalation of the conflict with Russia. · How to fighting causes rather than symptoms. · Adopting a long time perspective both earlier in time and towards the future. 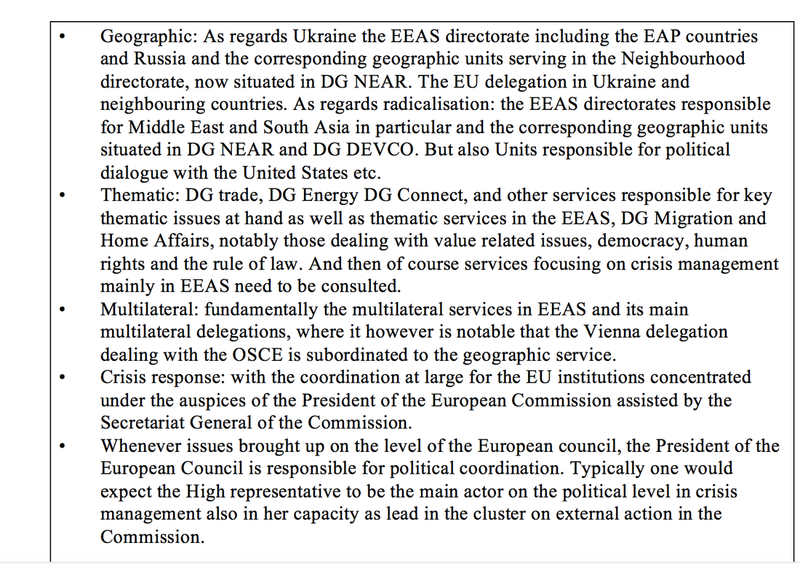 · Looking towards the totality of EU member state actions not only in specific regions but globally and functionally. · Addressing capacity issues upstream from the present concrete proposals for instance in the or the ENP progress report on Ukraine. 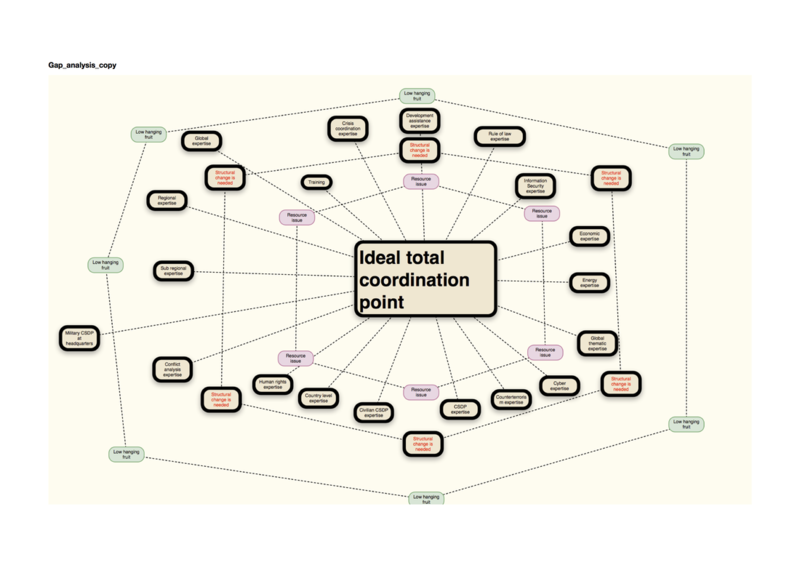 · With whom should policy dialogue be pursued? · What should be the programme of action for instance in the dialogue with United States? Should and could the European Union and or member states engage with key international actors notably the Russian Federation? · What should be the role of religious and political leaders outside government? The Action plan for the Comprehensive approach. lessons learned from the past? If one of these approaches are forgotten in the definition of the problem and thereafter in the definitions of measurements of success the policy becomes less than comprehensive. Even worse, if the focus at any given time is only on one of the four influencing paradigms below the policy may be too shortsighted. First of all there is the enabling paradigm closely related to the EAP. Secondly there is the value-based paradigm closely linked to objectives such as democracy and the rule of law. Third, there is the restrictive policies paradigm which has been focusing on actors from a hard power perspective: seeking to force actors to comply with European Union objectives. Fourth, there is a soft power paradigm seeking to convince actors, including international organizations, and targeted populations inside and outside the EU of the validity of certain EU objectives.This paradigm includes EU actions as a mediator. A key learning objective as regards the comprehensive approach will be to see more clearly what essential aspects may be missing from a brief, depending on how the briefing task is formulated. An overall objective will be to seek to develop the capabilities of participants to formulate questions from different perspectives and move away from a pure descriptive towards a more analytic approach. 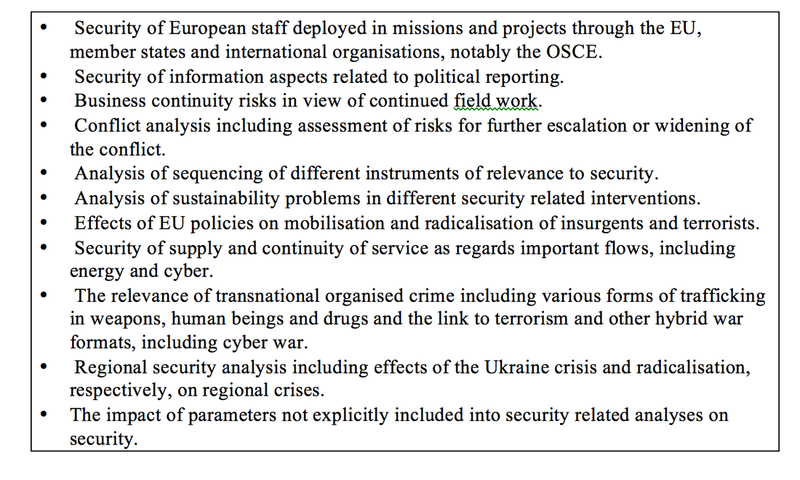 - and the policy officer responsible for reporting on the OSCE in Ukraine at the EU delegation to the international organisations in Vienna.